Specialisation and diversification are not two antithetical visions, but the same side of a coin for businesses interesting in taking an innovative and competitive approach to the market. 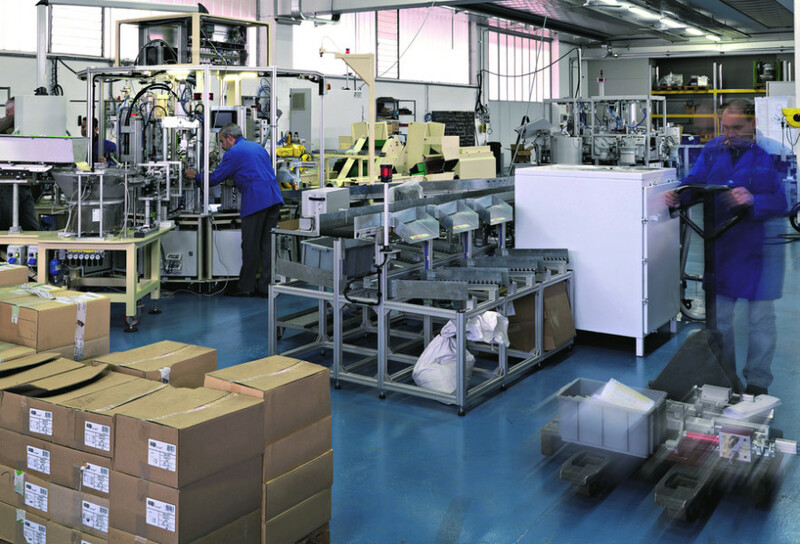 This assumption is at the heart of the experience and work of Camas, a company based in the province of Brescia (Italy) which has built its reputation on custom solutions for automatic or semi-automatic assembly lines and testing. Over a relatively brief time period – less than thirty years in business – from its headquarters in Rovato, the company has completed more than a thousand automation projects developed by a team of more than 50 engineers in response to the needs of the manufacturing industry. Its range features increasing levels of customisation to suit individual client specifications. Custom solutions can incorporate revolving table or linear development plants, solutions with pneumatic or electric actuators, plants with mechanically cam-driven units for maximum output, applications with articulated robot and vision systems. Camas has also developed an air leak test system – technology now in its second generation – called Tightester. Used on its lines, this test system offers solutions for numerous industries: from automotive components to cosmetics, packaging to electronics, tap fittings for liquids and gasses, to plastic objects and electric household appliance components. «Our thought is to put ourselves out on the market as the best ally for businesses who consider assembly and control processes key to gaining perfect knowledge of the good and defects of each individual piece, in order to achieve the best result possible through optimisation of the entire production cycle», the company explains. From the assembly line to control, in fact, critical information can be gathered on the characteristics, and therefore the quality, of the various components that make up an item. 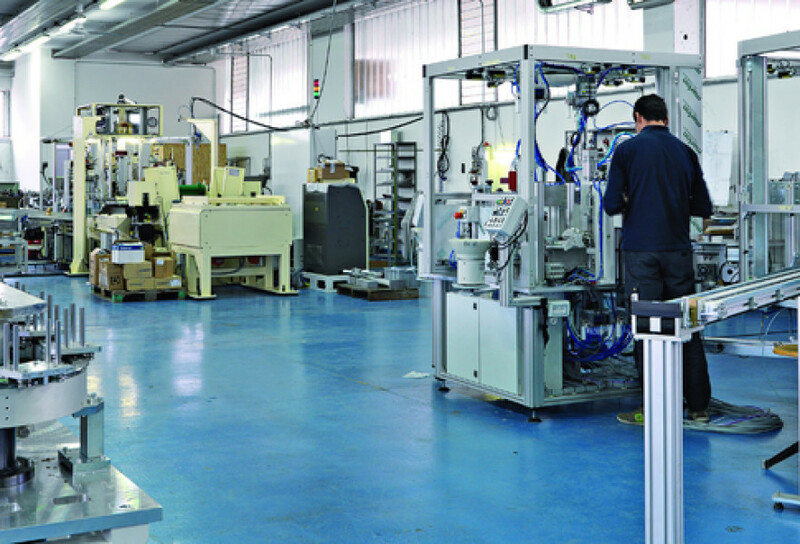 And this is because, «An automatic line, contrary to manual operation, creates detailed production statistics that can be displayed on the machine, exported or, alternatively, connected directly to company management software, permitting in-depth analysis and highlighting the criticalities of the pipeline supplying components produced in-house as well as those available on the market. 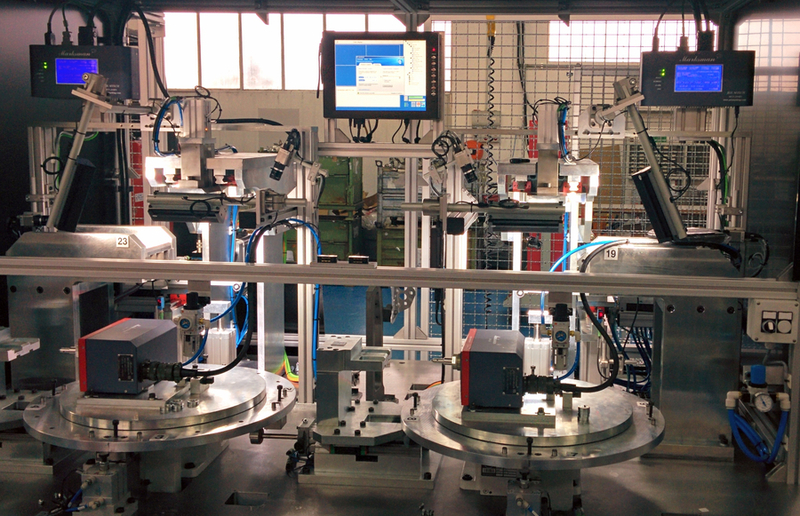 An automatic system does not only supply greater production quality in terms of assembly and testing, but an analysis of the entire production cycle of a certain article». 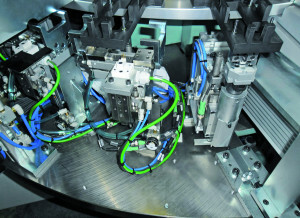 On a market that requires quality, while remaining competitive from an economic standpoint, the demand for assembly systems has risen sharply. «Today, people only do this type of job manually when they have no choice», a Camas spokesperson explains. «In general, it is a case of processing small batches or particularly complex manufactured items, for which custom linear development assembly would be uneconomical». The signs coming from the increasingly global and competitive market, but also by changes offered by the evolution of technology and its most up-to-date developments, are however unequivocal. 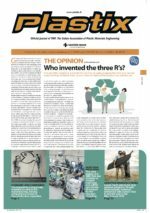 «In the injection moulding industry, for example, the number of final clients prepared to directly finance new automatic assembly lines for their subcontractors is rising. 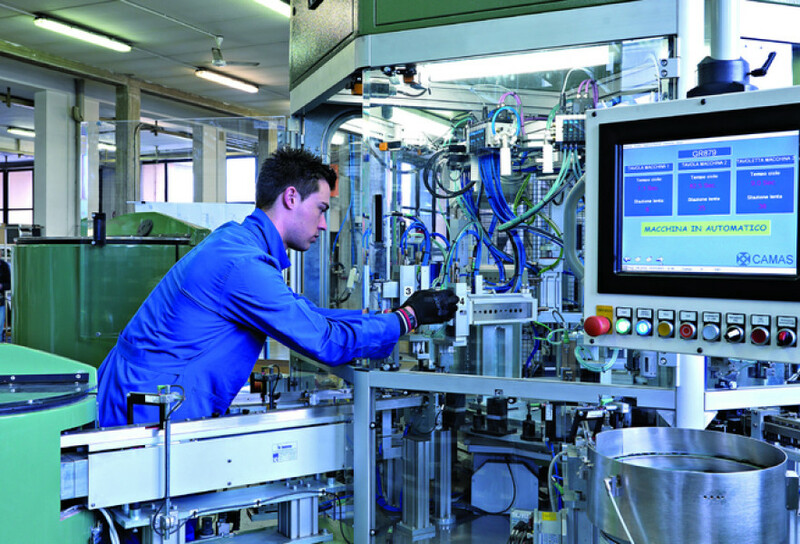 They have understood that a well-designed system helps them increase productivity, reduce production costs, obtain greater efficiency, but also improve quality through all stages of production, with an overall final result that is advantageous in the short-medium term for the line efficiency and the price ratio». In addition to assembly or assembly and control machinery, Camas also develops test only machinery. One of the most recent developments is the line for the operational control of a dashboard module for BMW. • testing of the electrical connections and absence of short circuit. Moreover, the tested device has active logic, and therefore can be signal- and not power-controlled: this in turn calls for operations also using specific communication protocols developed for the automotive industry (in short, power is not needed to turn on a LED, instead a signal is sent that orders the device to turn on the LED). All the parameters measured and test results are archived in a database and marked with laser datamatrix on the piece in order to ensure 100 per cent traceability. Financial resources are often the limiting factor for a company wanting to introduce new equipment and technology. «But the automation process for an assembly line cannot necessarily be carried out “all at once and immediately”. An option is to incorporate simple solutions that are useful for boosting speed and improving methods, even pertaining to a single stage, without eliminating the operator’s presence. This is the solution a large snow chain manufacturer has recently opted for, in response to its need to remove an operation from their production cycle that had, until that time, be done strictly by hand on the assembly line. The company did not need to make a major investment to eliminate this single step which, repeated constantly over the course of a business day, significantly hampered productivity in terms of quantity and quality. Years ago, investment in a new production line meant replacing the function of the line, which for years simply handled a particular task. Today, increasingly often, the decision is taken to design lines which can be re-commissioned, and deliver a response to the increasingly demanding needs of the company using them, perhaps with some modifications, for production other than the one they were originally devised and designed for». So some start from scratch and work with Camas to find a new solution, others try to emerge on the market segment where they have existing operations, introducing a particular “correction” to their lines. In sectors like the automotive industry, for example, where increasingly tight margins in the price of components plays a fundamental role on the sustainability of production, the recovery and re-commissioning of existing plants can signify a good investment. Camas has installed plants all over the world and wherever production or quality needs require automatic assembly and control: Europe, Africa, South America, and the Far East. The entire pipeline is managed from the company’s headquarters in Rovato, which handles design and construction, development and aftersales. «The internal workflow has been refined in time in order to increase the capacity to respond promptly to client requests, which can vary tremendously in scope and demands. From a small company needing solutions to improve and maintain their competitive edge, to large groups working with modern and complete lines», the company explains. In this case, Camas proposes its services particularly as a subcontractor, intervening directly on the relationship between the client and contractor, especially in the line testing phases. «In any case, our technicians are able to handle increasingly personalised requests, offering solutions suited for the investment, time and space available». Because on the current market, being simply a supplier no longer suffices, companies need to shape themselves as problem solvers and as trusted partners. And this is the path Camas has chosen. A recent project developed by Camas is a line of free pallets on a Bosch conveyor for the production of a car bonnet hinge fitted with a device for pedestrian protection in the event on an accident. The part will be inserted onto a model of Mercedes that will go into production in 2017. Two types are being developed, divided into left and right versions; and four pallet sets will be available with them. The line was designed to process right and left versions of the same model at the same time, or just a single version at a time. The solution developed, at the client’s request, requires some loading operations of sliced sheet components to be done manually, but controlled by a vision system developed according to the poka-yoke philosophy. A compact articulated robot is used for automatic loading operations, attached directly to the line structure. Each positions several pieces. The line also includes operating units like riveting, pressing and screw driving, which are done in sequence, with related control processes in place. Once hinge assembly is complete, the next step is operational testing. The cycle for this process is extensive, requiring double the cycle time than the assembly time; this in part is why two revolving table stations have been developed, each dedicated to either the right or left versions. A large articulated robot takes care of exchanging pieces between the assembly conveyor line and the operational control tables, and it also takes care of final palletisation of good pieces and discarding pieces that fail to pass the operational control. Visual and operational controls are carried on this table and the last task is dot peen marking. At this “station”, a manipulator arm takes one of the two hinge flanges, and simulates the final open-close operation of the bonnet: this stage is the heart of the patented process, with final control of the safety system. The practical controls, carried out in sequence, measure the opening force and position in the 3D space of the holes for fixing the car body and bonnet. This is necessary to ensure there are no mistakes during assembly on the car production line. Pieces that have passed the test are marked with a safety code for each hinge. The data, along with all the data for the tests carried out, are sent to a database that keeps track of any anomalies and waste.